FCV is an award-winning interactive, digital advertising agency using strategy, design and technology to help clients meet their objectives and connect with consumers. Their roots go deep in technology. But their business has always been about people. From their beginnings in travel and tourism, they've become the largest independent digital agency in BC with their unique mix of characteristics: they’re straightforward, smart and proactive. 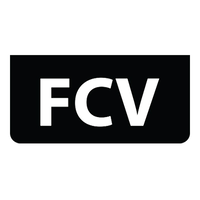 FCV Interactive is looking for a Digital Analyst in Toronto, Canada. If you meet the requirements below, you will be eligible to apply via Digital Marketing Community. Cooperate with the project team and directly with clients on project deliverables. Analyze the performance of websites, marketing campaigns and other digital communications. Design reports and data visualizations for a broad audience to effectively communicate insights and trends from data. Aid clients define measurement frameworks for their digital assets (websites, apps and marketing campaigns) and provide insights and recommendations on the performance of these digital assets or campaigns. Strategize and implement advanced configuration for Google Analytics and Google Tag Manager. Improve a deep understanding of how users interact with brands online and the business drivers for our clients. Collaborate with the User Experience, Web Development and Marketing teams internally as they will look to you for insights on how to improve their work. Lead performance-driven digital advertising campaigns for clients on several platforms including Facebook/Instagram, Twitter, LinkedIn, Google Ads. Effective technical experience with Google Analytics, Google Tag Manager and PowerPoint (certifications are an asset). Expert Back-end knowledge of common web analytics tools and the ability to work with developers to fix issues. Proficient experience leading SEM, SEO, display, email, video and social marketing campaigns and programs. Deep knowledge of marketing operations, strategies, principles as well as user experience. Self-starter, demonstrating appropriate levels of assertiveness with a high degree of self-confidence. Great ability in providing insights and recommendations to clients on the digital performance of websites, apps, UX changes and marketing campaigns. Strong ability to translate large volumes of data into meaningful business intelligence. Able to work in a fast-paced, multi-discipline and collaborative environment.